Fireworks have been a favorite past time for people throughout history and continue to be today. For many, fireworks are a staple and part of a cultural practice, such as is the case with the Forth of July in the United States and New Year’s celebrations throughout the world. However, there is a certain amount of debate in regards to illegal fireworks. Illegal fireworks is a term that is used to describe these low grade explosive pyrotechnics in terms of whether they can be purchased and used in certain jurisdictions. In the United States, for example, there are certain states that will not allow the sale of fireworks within state borders. Thus, any particular firework in such a state can be classified as illegal fireworks. Illegal fireworks are labeled as such in certain regions for various reasons. One of the main arguments in regards to illegal fireworks has to do with issue of safety. Because they are a form of explosive, there is a certain degree of hazard that is assumed while using fireworks. Furthermore, illegal fireworks are considered as such for noise reasons, which fireworks are quite known for being loud. However, states in the United States do have certain allowances for certain kinds of fireworks, making only those that are considered to be most dangerous classified as illegal fireworks. 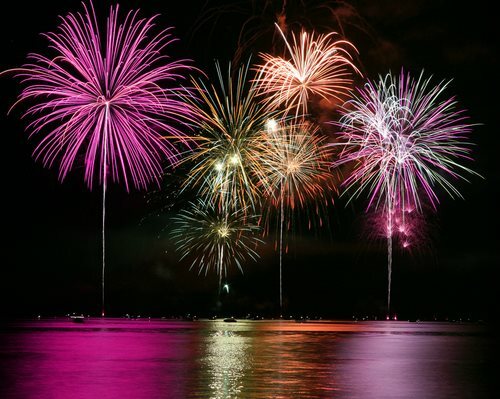 For example, the state of New York considers all types of consumer fireworks illegal fireworks, where as the state of Illinois allows certain kinds of fireworks, such as sparklers, smoke devices, and certain kinds of noisemakers.